Considering that the smallest uprights weigh a hefty 350 pounds, and concert grands a backbreaking 1,400 pounds, birthing a piano sounds painful, doesn't it?! (My wife just walked in and said, "What would you know?") Indeed. Still, birthing a piano is something every piano owner should understand. It's not that a new concert grand is defective. In fact, it's perfectly new and beautiful. Yet, a master technician can often spend up to three days bringing the piano to life. Beyond that, the instrument will continue to be nurtured into its potential through regular and frequent attention. Ok let's face it. We don't all have concert grands and we aren't all concert artists either. So why tell you this? Most pianos are struggling to perform up to their potential. More significantly, musical sensitivity and growth are hindered, and the beautiful gift of Music is held back and stifled. This is a serious problem, and a ripe opportunity that too many piano owners don't know about. The artistic and technical excellence that goes into making, growing and keeping a piano at its optimal level of performance is not unlike the painstaking work that goes into one's development as a musician and artist! I am sure we can agree that the piano is one complex, mysterious, exquisite and enduring piece of engineering. From the humblest upright to the most glorious concert grand there is usually much that can be done to improve the experience of making and enjoying music. It doesn't have to be painful. 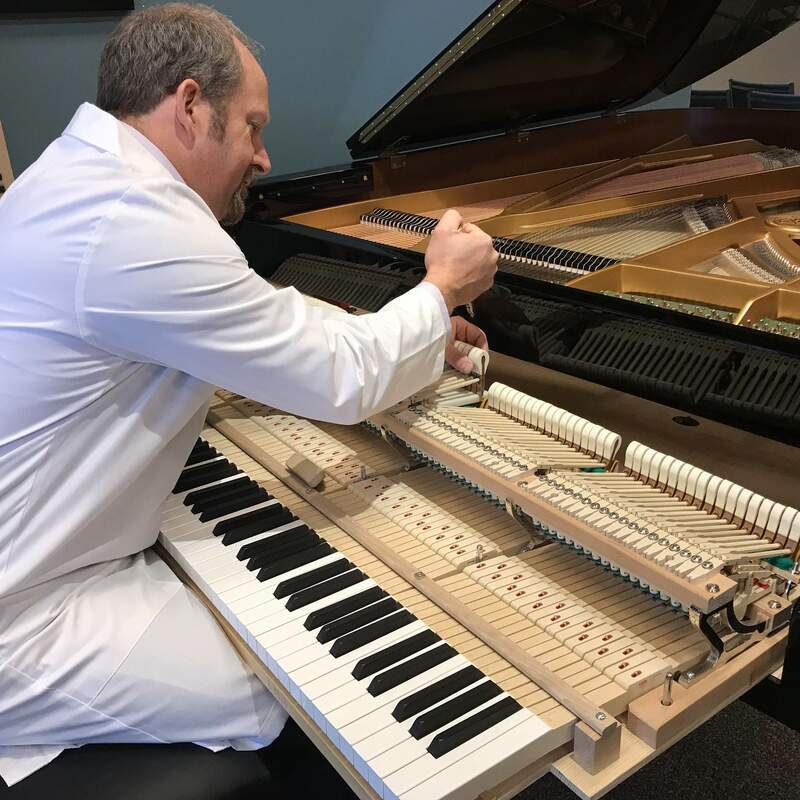 Tuning, Maintaining and Optimizing are the three categories we've chosen to organize the myriad of technical tweaks that are done to keep pianos at their peak performance. The more you understand how the mechanics of the piano relates directly to the musical qualities and abilities you are striving to achieve, the more you will be able to take care of your piano in a way that supports your endeavours and brings great beauty to the music. You may be a parent with children who are learning piano, a student, a teacher or a performer pushing the very boundaries of what can be achieved. In any case, I hope you will find this blog helpful and while it will be technical in nature we will endeavour to keep it simple, interesting and always from the point of view of making beautiful music.